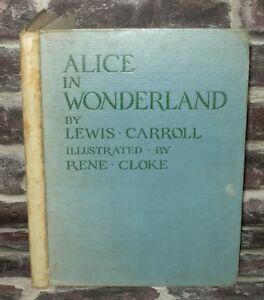 Super 1883 1st Edition Lewis Carroll Rhyme and Reason!!! 1900 EDITION of ALICE'S ADVENTURES IN WONDERLAND. LEWIS CARROLL & JOHN TENNIEL.